20g mint, valerian root 25 g, 50 g of flowers of oregano, 50 g of Melilotus officinalis, 50 g of hawthorn. 2 tablespoonscollection pour 0.5 liters of boiling water, to insist. Drink half a glass before a meal. Melissa has long been considered not only a great tool for a restful sleep, but also an indispensable remedy against nervousness and irritability. Sleep problems will help solve the drunk on the night of tea. 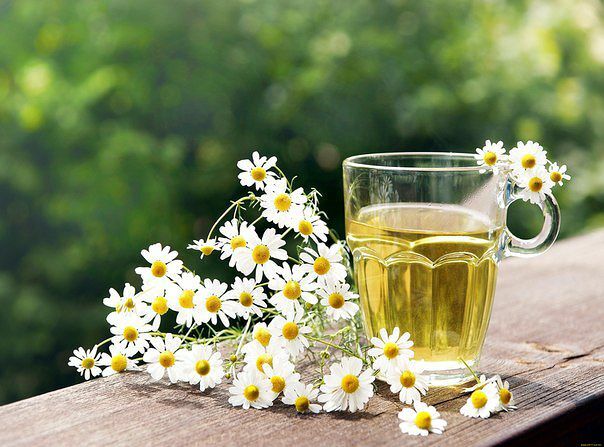 Chamomile flowers - 1 tbsp . ; Melissa leaves - 1 tbsp . ; herb St. John's wort - 0.5 tbsp . ; hop cones - 0.5 tbsp 0.5 tbspmixture pour a glass of boiling water, cover and soak for 15 minutes. Strain and drink up to 2 hours before bedtime. Pour 200 ml of boiling water 3 tsp Melissa, leave for 5 minutes. (required under the lid; droplets that settle on the cover, it is necessary to shake the dishes as they contain essential oils). Drink 1-2 cups throughout the day. Infusion is very effective when the insomnia is accompanied by pain in the stomach, which was the cause of stress. Mix 1 tablespoon milled hop cones, roots valerian, angelica root of the drug, the roots of wheat grass, herbs, St. John's wort.1 tablespoon Pour mixture of 200 ml of boiling water, cover and leave for 15 minutes. until a thin plenochki. Drain. Drink a glass of warm infusion in the case of a strong nervous excitement. Valerian root, hops cones, St. John's wort, thyme mixed in equal proportions. Pour into a thermos 2 tablespoons mixture, pour 500 ml of boiling water and leave for an hour. Drink 0.5 cups before the trip and on the road. Pour 1 tablespoon hop cones cup of boiling water and leave the lid on for 10 minutes. Strain and drink 2 times a day for 0.5 cups before eating. You have a tendency to depression? Broth, improves mood !!! Pour 4 tablespoons herb St. John's wort 1 liter of boiling water and cook for 2 minutes. Then leave the lid on for 10 minutes.until plenochki. When cool, strain. Drink 3 times a day before meals for 0.5 cups.